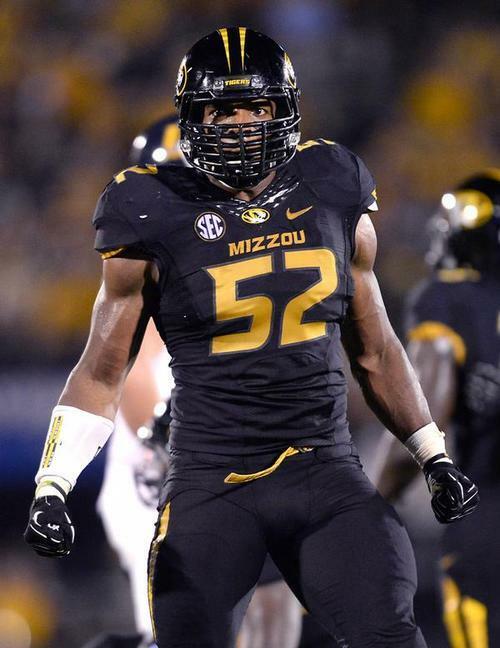 Last night SEC Co-Defensive Player of the Year, Michael Sam of Missouri, announced that he is gay. Of course the media went hog wild after the 6’2”, 255lb defensive end who seems to be heading to the NFL put his personal preference on public display in an effort to silence rumors about his sexuality began that began to circulate at last month’s Senior Bowl. To no one’s surprise questions and opinions are abound regarding, for instance, what affects the announcement may have his chances of being drafted and on potential future teammates. I’m sure the questions and speculation will continue over the next several weeks until his NFL fate is announced, but what what’s really interesting to me is how dissimilar the experiences have become for male and female athletes who are “out” about their sexuality. If you recall, last year one of the biggest stars women’s basketball has seen in a while, Brittney Griner, formally announced that she was/is a lesbian. I say formally, because I know there was little doubt about Griner’s sexuality prior to her making the announcement, so her announcement did not surprise many people. She made the announcement and there was no general uproar or major discussion about how her sexuality would affect her career. While openly gay men in the NFL or NBA may be an anomaly and cause for discussion, women’s sports are no stranger to having and embracing openly gay athletes. To the contrary, many women, especially in basketball, find themselves fighting the assumption that they are lesbian or bisexual because they play sports. Even in 2014, a strong, at times aggressive woman, has to be a lesbian, right? (Insert eye roll.) While announcements like Griner’s and Amelie Mauresmo’s and Abby Wambach’s don’t necessarily happen everyday, the frequency with which they have occurred and the underlying gender stereotypes about masculinity and sports seem to have made lesbian and bisexual athletes more accepted in society than their male counterparts, who are often forced to portray a masculine, heterosexual image. I think it’s great that women’s sports have embraced lesbian and bisexual athletes, but I think it would be even better if athletes could just…be. It would be nice if a woman’s muscles had no bearing on her femininity or sexual preference. It would be wonderful if it really didn’t matter who an athlete slept with when they went home at night. It would be awesome if athletes didn’t feel compelled to “out” themselves because they were judged and admired for their skills and their skills alone. These things would be great, but as it stands now, they aren’t a reality. Female athletes are analyzed for their skills AND their femininity. People make assumptions about female athletes that have no bearing on their skill sets. Female athletes are called lesbians if they’re too muscular or don’t flaunt their sexuality. And they are subjected to criticism if they make money off of their good looks and curves. I hope that one day female athletes can just be athletes, but for now, they battle sexual biases and stereotypes, as do males athletes, they just fight the battles a little differently.